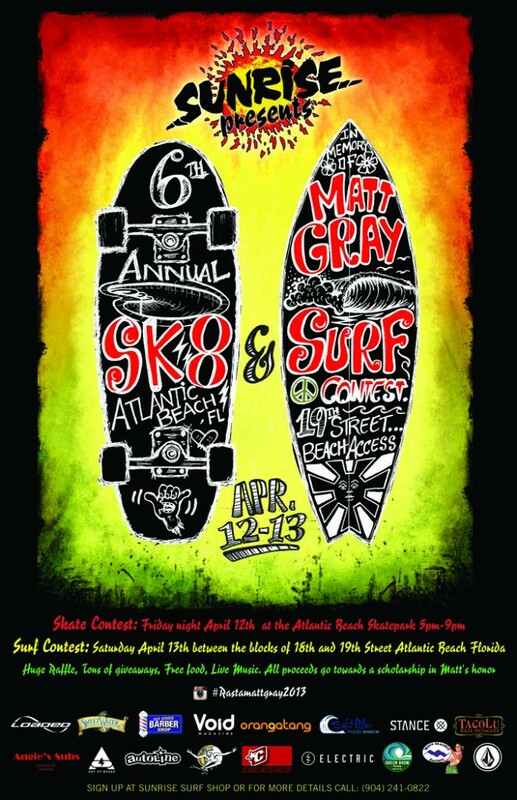 Autoline Preowned was on hand April 12th-13th to get the footy at the 6th Annual Matt ‘Rasta’ Gray Skate and Surf Contest in Atlantic Beach, Presented by Sunrise Surfshop. They even threw in some cash for Best Trick over the doorway gap at AB. Check all of the Final Results from the weekend here. This entry was posted on April 30, 2013 by Nick Nicks. It was filed under Events, Skateboarding, Video and was tagged with Atlantic Beach, Autoline Preowned, Cason Kirk, Clips, Contest, Damon Francisco, Dane Quintal, Edit, Event, Florida, Jacksonville, James Grosser, JAX, Marshall LaFrance, Pat Brown, Sector 9 Skateboards, Skateboarding, Skatepark, Spencer Lau, Stance Socks, Sunrise Surf Shop, Surfing, Sweetwater Brewery, Trevor Brice, video, Void Magazine, Volcom.